ROCHESTER, NY (December 19, 2017) - Governor Andrew M. Cuomo today announced the completion of the $56.6 million acquisition and modernization 320 apartments in the Town of Chili that will preserve the community as affordable housing for approximately 700 residents. 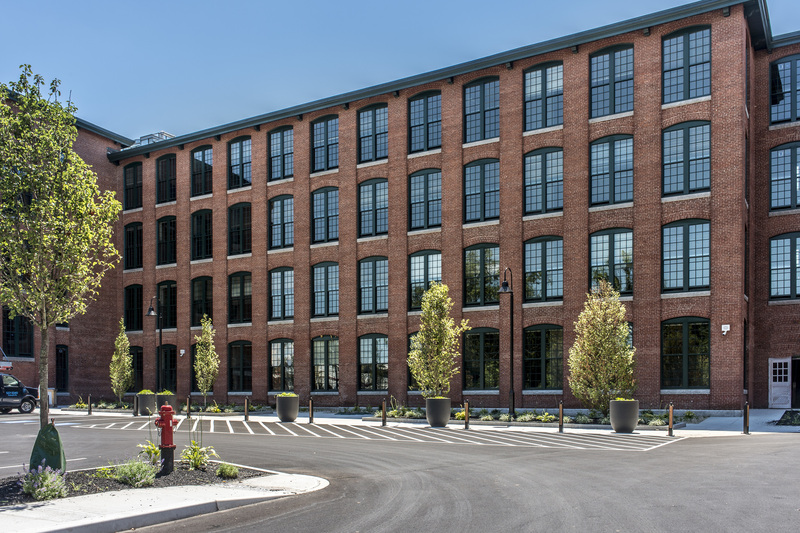 Overseen by WinnDevelopment of Boston, which acquired the property in 2015, the 18-month project at the Cedars of Chili Apartments included the complete renovation of all kitchens and bathrooms, and replacement of heating and cooling systems, roofs, windows, and wood patios and decks across all 60 of the two-story buildings on the 33-acre site. "Affordable housing creates stronger and safer communities that help to bolster our economy and make New York a better place to live and work for all," Governor Cuomo said. "With the completion of the Cedars of Chili project, we continue to help push the Finger Lakes forward." Located just outside Rochester, the Cedars of Chili Apartments was built in 1976 and is one of the largest affordable complexes in an area that is experiencing a severe shortage of affordable housing. 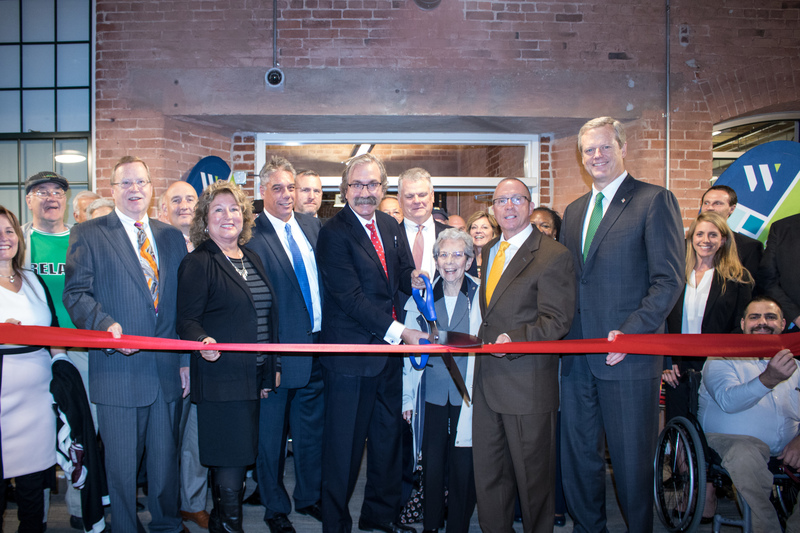 The rehabilitated community totals 116,620 square feet of residential space, featuring 96 one-bedroom units, 158 two-bedroom units, 49 three-bedroom units, and 17 four-bedroom units. Of those, five one-bedroom apartments, 10 two-bedrooms, one three-bedroom, and one four-bedroom are now handicapped accessible. A majority of the apartments at the property will be reserved for households earning at or below 60 percent of the area median Income for the next 40 years. This year, the Governor launched an unprecedented $20 billion, five-year plan to provide affordable and permanent supportive housing and to combat homelessness by constructing and rehabilitating 100,000 units of affordable housing - equivalent to the approximate number of housing units in the City of Syracuse - and 6,000 units of supportive housing. RuthAnne Visnauskas, Commissioner of New York State Homes and Community Renewal, said, "Cedars of Chili is an important example of Governor Cuomo's commitment to preserving affordable housing opportunities here and across the state. This nearly $56.6 million total upgrade and modernization project enables 700 people to remain in the community they love. A key element of the financing agreement requires rents to remain affordable for the next 40 years. It is a clear vote of confidence in the community and is another reason why the Finger Lakes region's economy continues to move forward." In addition, the rehab project upgraded the property's resident lounge, laundry room, management office and playgrounds and incorporated a brand new fitness room, basketball court, and community room. The property is more accessible and sustainable with 17 new fully handicap accessible apartments and numerous energy, water, and health improvements that will benefit residents for years to come. Gilbert Winn, CEO of WinnCompanies said, "We are proud to join with the Cuomo Administration, Monroe County, the Town of Chili and the Bank of America to preserve the affordability of this community and to deliver safe, quality homes for its residents for the next 40 years. There was a real risk that this property would have been converted to market rate rental units if the community had not stepped up." The project created 272 jobs, with workers from the Rochester area filling 144 (53 percent) of those positions. The project met or exceeded goals for the use of minority and women-owned business enterprises. More than 28 percent of the state funds money spent on renovations, approximately $3.6 million, went to minority-owned enterprises, while women-owned enterprises accounted for close to 10 percent of project expenditures, approximately $1.2 million. The project was supported by New York State Homes and Community Renewal's Housing Finance Agency which provided tax-exempt bonds to support the construction loan and first mortgage. Staff from WinnResidential, the property management arm of WinnCompanies, will manage the community. Supportive services for residents will be provided by Partners in Community Development, a non-profit organization in Rochester that provides onsite services at low-income housing communities. Congresswoman Louise Slaughter said, "Affordable housing is critical to keeping our region strong and prosperous. The completion of this project is welcome news for hundreds of local residents. I want to thank all my local, state, and federal partners for working with me to ensure that our community remains strong for years to come." New York State Assemblymember Harry B. Bronson said, "Affordable housing is a priority of mine, my colleagues in the legislature and Governor Cuomo and his team. That is why I am proud to join WinnCompanies in welcoming many families to homes that will serve them and our community for generations to come. The renovations, which include additional units that are accessible, are welcoming, safe and provide a model of what affordable housing can and should be in our state." Monroe County Executive Cheryl Dinolfo said, "As our economy continues to grow, so does the demand for living accommodations for individuals looking to move here and local residents relocating within Monroe County. I'm proud to see this project become reality and I am thankful to Winn Companies for investing in our county, economy and workforce." Chili Councilman Mark L. DeCory said, "The renovations completed by WinnCompanies at the Cedars of Chili have made a significant impact on the quality of life in Chili. They should be applauded for their effort." New kitchens in the community feature new Energy Star appliances, vinyl flooring, cabinets, countertops, faucets, sinks, and GFCI outlets. The new baths feature new vinyl flooring, bathtubs, toilets, toilet accessories, vanities, sinks, faucets, exhaust fans, countertops, and GFCI outlets. Resurfaced, resealed and restriped parking areas. Today's announcement complements Finger Lakes Forward, the region's comprehensive blueprint to generate robust economic growth and community development. The State has already invested more than $3.4 billion in the region since 2012 to lay the groundwork for the plan investing in key industries including photonics, agriculture and food production, and advanced manufacturing. Today, unemployment is down to the lowest levels since before the Great Recession; personal and corporate income taxes are down; and businesses are choosing places like Rochester, Batavia and Canandaigua as a destination to grow and invest in. The region is accelerating Finger Lakes Forward with a $500 million State investment through the Upstate Revitalization Initiative, announced by Governor Cuomo in December 2015. The State's $500 million investment will incentivize private business to invest well over $2.5 billion and the region's plan, as submitted, projects up to 8,200 new jobs. WinnCompanies is also the developer of Sibley Square in Rochester, formerly The Sibley Building once the largest department store between New York City and Chicago. WinnDevelopment is renovating the 1.1 million-square-foot property with a $200 million investment from local, regional and state funding sources. Sibley Square features 104 market-rate units on floors 9-12, 72 affordable apartments on floors 7 and 8, abundant retail space, professional offices, health care services and 68,000 square feet on the 6th floor devoted to the High-Tech Rochester business incubator. The residential leasing effort is well underway with more than 50 signed leases and residents already occupying floors 9 and 10. As one of the Finger Lakes Regional Economic Development Council's priority projects, Sibley Square leads the revitalization effort in downtown Rochester and supports New York State's focus on rebuilding the Upstate economy. In addition to restoring energy to one of the region's most historic and celebrated buildings, the project is expected to create more than 1,500 temporary construction jobs and 1,042 permanent jobs.